Many presentations about onshore gas development and its impacts and opportunities have been given to scientists, students, teachers, the general public, industry stakeholders, government departments and members of parliament since GISERA’s launch in July 2011. Inside the herd, presented at the Agricultural Land Management Knowledge Transfer Session, September 2018. (PDF, 7MB). Ambient air quality in the Surat Basin, presented at the Greenhouse Gas Footprint Knowledge Transfer Session, September 2018. (PDF, 3MB). Impacts of CSG depressurization on Great Artesian Basin flux and Data-worth and spatial design of groundwater monitoring network in the Narrabri Gas Project area, presented at the Surface and Groundwater Knowledge Transfer Session, August 2018. (PDF, 4MB). Decommissioning CSG wells, presented at the Surface and Groundwater and Social and Economic Knowledge Transfer Session, August 2018. (PDF, 1MB). Risk assessment on groundwater contamination from hydraulic fracturing and delamination, presented at the Surface and Groundwater and Social and Economic Knowledge Transfer Session, August 2018. (PDF, 1MB). Guidelines for plant population offsetting, presented at the Biodiversity Knowledge Transfer Session, July 2018. (PDF, 2MB). Human health and CSG development: future study design framework, presented at the Health Knowledge Transfer Session, March 2018. (PDF, 2MB). Social Research Survey Report, presented at the Social and Economic Knowledge Transfer Session, December 2017. (PDF, 1MB). Economic effect of CSG activity under different scenarios, presented at the Social and Economic Knowledge Transfer Session, December 2017. (PDF, 667 KB). 2017 GISERA Symposium, presented in Brisbane, October 2017. (PDF, 7MB). NSW project updates, presented to Government and community stakeholder in Sydney and Narrabri, September 2017. (PDF, 2MB). A conceptual model of socio-economic impacts of unconventional fossil fuel in host regions, presented at the Energy Impacts Symposium, Ohio, United States of America, July 2017. (PDF, 1MB). Forecasting rural employment effects from unconventional gas in Australia, presented at the International Symposium on Society and Resources Management, Umea, Sweden, June 2017 (PDF, 1MB). Roma business leaders presentation, presented at GasFields Commission hosted leaders’ breakfast in Roma, June 2017. (PDF, 2MB). CSIRO 2016 Community Wellbeing and Responding to Change, presented at Social and economic Knowledge Transfer Session, December 2016. (PDF, 881 KB). Economic forecasting for the Surat Basin and SME responses, presented at Social and economic Knowledge Transfer Session, December 2016. (PDF, 360 KB). Telling the Story, presented at Agricultural land management Knowledge Transfer Session, December 2016. (PDF, 12 MB). 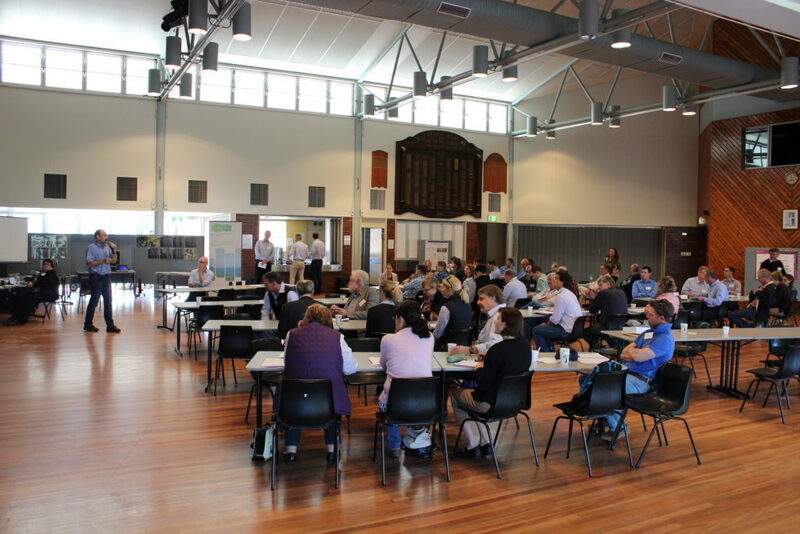 CSIRO 2016 Community Wellbeing and Responding to Change, presented at AgForce Chinchilla Research Forum: Agriculture, Communities and Coal Seam Gas, November 2016. (PDF, 709 KB). GISERA research in NSW, presented at Narrabri Community Consultative Committee meeting, November 2016. (PDF, 1 MB). GISERA research in NSW, presented at Narrabri Shire Council meeting, October 2016. (PDF, 880 KB). Unconventional Gas, presented at Alice Springs Chamber of Commerce meeting, April 2016. (PDF, 2 MB). Ensuring biodiversity offset success: Rutidosis lanata, presented at Biodiversity Knowledge Transfer Session, May 2016. (PDF, 3MB). Economic and socioeconomic impacts of CSG development, presented to the Resources and Energy Workshop: Australian Government Office of the Chief Economist, Canberra, Australia, November 2015. (PDF, 867 KB). An integrated study of the Gladstone marine system, presented at the Marine CSG research forum, August 2015. (1MB). Study of Green Turtle movement in Gladstone Harbour, presented at the Marine CSG research forum, August 2015. (2MB). Gladstone Harbour biogeochemical and seagrass growth model, presented at the Marine CSG research forum, August 2015. (4MB). CSIRO survey of community wellbeing and responding to change, presented at the Social and economic CSG research forum, November 2014. (PDF, 385 KB). Overview of Social and Economic Research findings’, presented to the Gasfields Commission, Toowoomba, Australia, November 2014. (PDF, 695 KB). Opportunities for agricultural communities’, Presented at the National Farmers Federation National Congress, Canberra, Australia, October 2014. (PDF, 231 KB). Community information and engagement expectations, presented at SPE Unconventional resources conference and exhibition, November 2013. (PDF, 647 KB). Hydraulic fracturing 101, presented at the AWA/National Centre for Groundwater Research and Training Onshore Gas and Water short course, August 2013. (PDF, 1 MB). Understanding community concerns, presented at the International Conference for Effective and Sustainable Hydraulic Fracturing, May 2013. (PDF, 1MB). Coal seam gas: opportunities, methods and impacts, presented at a community forum in NSW, April 2013. (PDF, 1.4 MB). Coal seam gas: intersections with agriculture and water resource management, presented at the ABARES Outlook conference, March 2012. (PDF, 1MB).